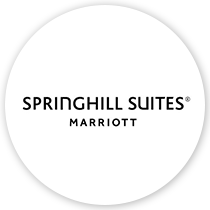 Springhill Suites Detroit/Auburn Hills is located minutes from The Palace of Auburn Hills, Crittenton Hospital, Oakland University, & major business districts. We are centrally located near malls like Great Lakes Crossings & The Village of Rochester Hills. 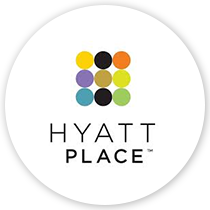 The TownePlace Suites by Marriott Champaign/Urbana offers the comforts of home for extended stay guests with a soothing, modern look. Located in Champaign, IL directly on the University of Illinois Campus and conveniently located near Kraft Foods, Rockwell Automation, DuPont, FedEx, General Electric, Yahoo, Research Park, etc., the TownePlace Suites hotel is the perfect place to stay on business in Champaign/Urbana. 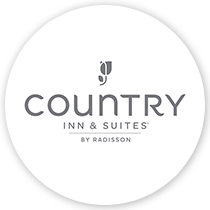 Experience the comfort of the Country Inn & Suites Holland, MI Hotel. This premier Holland, MI hotel's location is near the sparkling waters of Lake Michigan and other area attractions such as the Dutch Village, Windmill Island and Veldeer's Tulip Garden. Enjoy all the comforts of home while traveling at the Hampton Inn hotel in Jacksonville, Illinois. The hotel is conveniently located in close proximity to all area businesses, schools and medical facilities. Gorgeous public places to stroll and parks to relax by the river make Janesville a delightful place to visit. But we also have six historical districts perfect for exploring, two golf courses to play and shopping downtown that shouldn't be missed-all within just a few minutes of our hotel in Janesville. Macomb, Illinois is a historically rich, culturally diverse Midwestern town is so much more than a stop on your way to Chicago, St. Louis or Des Moines. 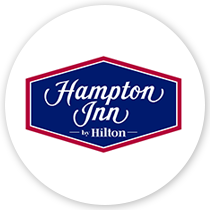 Visit the Hampton Inn® Macomb and find yourself on a journey into the heart of Americana and the soul of America. 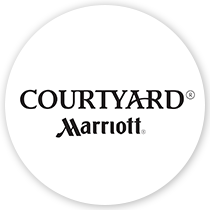 The Courtyard by Marriott Milwaukee Airport provides greater flexibility and choices for our guests. At the center of it all is The Bistro, your destination for Starbucks beverage, breakfast, or drinks and dinner during the evening. Our Residence Inn is located on the west corridor of Milwaukee in beautiful Wauwatosa, WI. Located just blocks away from Froedtert Hospital and Specialty Clinics and the Medical College of Wisconsin. 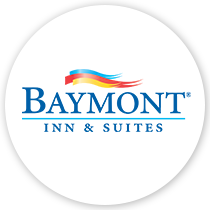 The Award winning “Best of Baymont” in Mount Pleasant, MI is pleased to provide our guests with exceptional service and quality amenities at an affordable price. The hotel is located near many area businesses and across from the Soaring Eagle Casino. 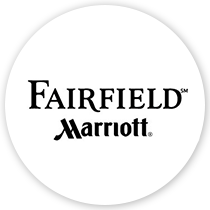 Welcome to the Fairfield Inn by Marriott East Lansing/Okemos where it's always a great day! Whether you are traveling on business or pleasure, our hotel is conveniently located just minutes from Michigan State University, Jackson National Life, Delta Dental, and the State Capital. At the Hilton Garden Inn West Lafayette Wabash Landing hotel you'll find everything you need including complimentary high-speed Internet access, in all the guestrooms. 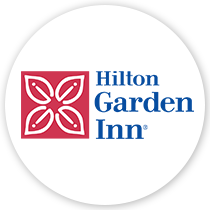 The Hilton Garden Inn West Lafayette, IN hotel is certain to please the busy executive or leisure traveler. The Residence Inn by Marriott® Bloomington is the newest and brightest extended stay hotel to the Bloomington-Normal market. Located off Veterans Parkway, minutes from State Farm Insurance Headquarters and Central Illinois Regional Airport. The Hampton Inn & Suites Cleveland Southeast/Streetsboro hotel is the perfect spot to fall in love with small-town life but close enough to enjoy all the benefits of the big city. Stay at DoubleTree by Hilton Hotel Port Huron and enjoy spacious accommodations, modern amenities and a friendly welcome. We will even greet you with our delicious fresh-baked cookie upon arrival. Centrally located in Port Huron, Michigan, minutes from St. Clair County Airport. The Residence Inn Marriott - Grand Rapids Airport is the newest and brightest extended stay hotel to the Grand Rapids market. It is conveniently located on 28th Street minutes from the Gerald R Ford International Airport and many local restaurants and businesses. The award winning Homewood Suites Grand Rapids is located in the heart of downtown. Come enjoy the historic Waters Building, home of the Homewood Suites Grand Rapids. Within walking distance to all major venues in the downtown area, the Homewood Suites is the place to be. 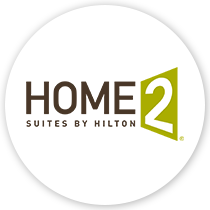 Stay at the Homewood Suites by Hilton® Columbus/Airport, located six miles from the city center. Enjoy complimentary airport shuttle that will bring you here from the Port Columbus International Airport with a minimum of fuss. Centrally located, the Hilton Garden Inn Lexington provides a perfect retreat for all visitors to our hotel in Lexington, KY. Whether you're a history buff, equestrian or love the great outdoors, the areas surrounding this hotel in Lexington, KY, are ideal for sightseeing. Welcome to our Homewood Suites by Hilton® Lexington-Hamburg hotel. Situated in the Hamburg Pavilion in the heart of Kentucky horse country and only minutes from downtown Lexington and major attractions, our Lexington hotel offers easy access to premier shopping opportunities and a fantastic range of restaurants. Our Residence Inn Green Bay Downtown is conveniently located with in 2 miles of Lambeau field "Home of the Packers" Botanical Gardens, Beach Bay Amusement Park, National Railroad Museum and The Resch Center. The Courtyard by Marriott Waterloo / Cedar Falls is the perfect getaway in the Cedar Valley. Constructed in one of the original John Deere factories, the Courtyard Waterloo / Cedar Falls is filled with original, historical elements from the buildings former use. 5155 West Grande Market Dr.